Another happy client! We received a call from a homeowner that had a second property that he desperately wanted to sell. After almost 6 months on the market I could sense his frustration. In fact, he told me how frustrated he was! He was now turning to us for help in getting this property sold quickly. He hadn’t heard of home staging, and unfortunately his agent hadn’t told him about it. It was sitting vacant and vacant properties are very hard to sell. It really doesn’t matter how nice the property is, a vacant property has no warmth, character or wow factor. We staged the main rooms, the living room, dining room, kitchen, master bedroom and bathrooms. The client received an offer very quickly but turned it down as it wasn’t high enough. We were really excited when we got word from the client that they had another offer which they had accepted. 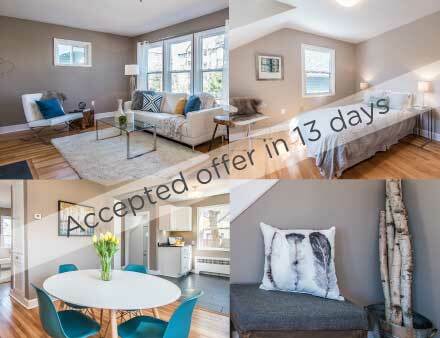 Sold in 13 days our client was so relieved and we’re so happy to have been able to help!